One of the secrets of our success is only to take on clients who believe in us wholeheartedly. These are the clients with whom we can discuss strategies with, understand that SEO takes time and trust that we’ll do the best that we can for them. They know that they don’t know everything in the world and should leave it to the people they choose to engage. One of the most memorable clients that we have is Edmund Ling, owner of Best POA Tuition. Edmund found us on Google and wanted to meet the next day in our office. During the meeting, he shared about how he came to be an accounting tutor, the challenges he faces in his business, and how he hopes we will be able to help him. The most striking thing about Edmund is how he treats students and parents with authenticity. He is genuinely concerned about his students and often chats with them to find out if other factors are affecting their grades. Sometimes the reason they are not doing well has nothing to do with the subject, but he listens to them nonetheless and tries to offer solutions. He also knows that POA is a dry subject, so he injects elements of fun into other aspects of the lesson. When some of the kids refused to listen to his advice, he’d sometimes sit down and reason things out with them, helping them see the possible consequences of not doing well for POA. Other times he’ll scold them severely, hoping to wake them up. If all else fails, he has no qualms about removing them from his classes. The parents that Edmund work with also came to respect Edmund’s professionalism. He communicates openly and regularly with them, updating them on their child’s progress. They reciprocate by listening to his suggestions and trusting that he’s doing the best that he can for their child. The parents hardly gave Edmund a hard time, because they understand that Edmund needs space to do his best. We found several similarities between Edmund’s account of how he runs his business and we shared with him how we run our business as well. We spend a lot of time understanding our client’s business, the problems they face and the needs they may have. It helps us access if we can help them with SEO. Sometimes we turn clients who have problems with their business fundamentals or challenges that SEO cannot solve because we know that we won’t be able to do a good job for them and in the end, the client will waste their money and time. When we do feel that we can really help our clients with our SEO and web designing expertise, we try our best to help them get to the first Google search result. It’s not guaranteed, but we’ve helped many of our clients dominate their industry in the cyberspace. But the credit isn’t entirely ours. Our most effective SEO campaigns have been those where our clients trust us fully and don’t interfere with our professional work. They understand that this is our area of expertise and would leave us to think of what is best for them. If we know that what our client suggested is not suitable for them, we will try hard to advise them against it. Most of them see the vision we have for their business and would go with our plan. These clients also tend to see results faster. 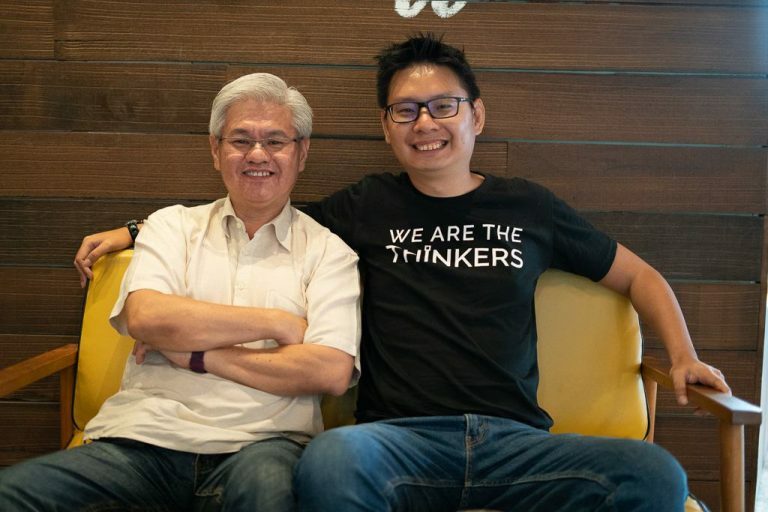 Edmund liked what he heard and candidly shared that we’re one of the most expensive among the SEO consultants that they have contacted, but decided to go with us. There were times we could tell that Edmund is anxious about seeing some new business. Despite that, his trust is unwavering. He understood that SEO is just one part of marketing and continues to pay for our services on time. Even though we’ve done our dues to bring him to the top based on certain key phrases within two months, we still feel that we can do more to help great clients like him. We also invest in quality written content and design for our clients, at no extra charges to them. Where Thinking Notes is today is no mere coincidence. We attribute it to their patience and confidence in giving us the freedom to do the best for them. If you believe that we’re the right SEO consultants for you, contact us today.